Over the years I’ve added to my jewelry collection, and most recently I discovered moissanite – a naturally occurring mineral that is recreated in a lab. Charles & Colvard is the original creator of these earth-friendly gems that look like white sapphires or diamonds. 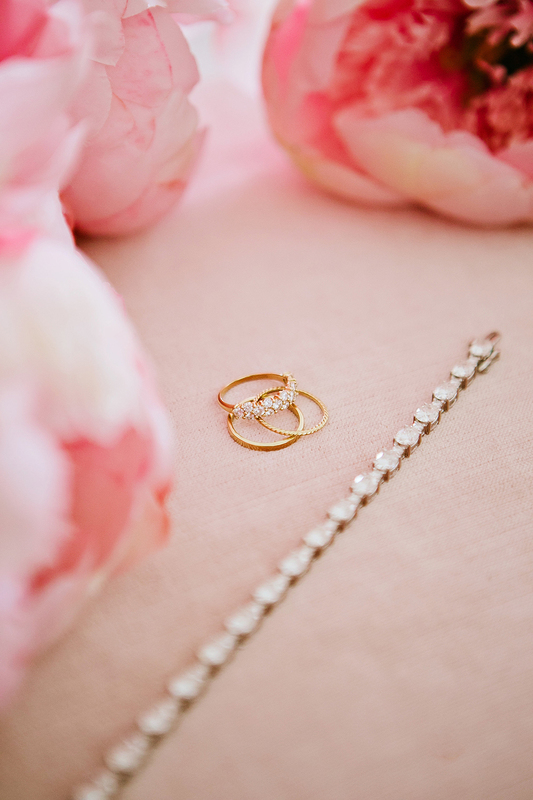 Moissanite sparkles more than any other gemstone and mixes well with my staple pieces that I wear almost every day; my wedding ring, my michele watch, a pair of earrings and occasionally my necklace that has my children’s initials on it. I feel like my outfit isn’t complete until I add some sort of jewelry, which is why today I thought I’d share with you a few of my tips for styling jewelry! ◦ It’s okay to mix and match your metals. One of my favorite watches that I wear A LOT is a mix of silver and gold, so don’t think you have to wear all-silver or all-gold jewelry. It’s fashionably acceptable to mix it up! ◦ Stack ’em. I started stacking my rings about a year ago and I always get so many compliments and questions when I do! I don’t know why I didn’t think to do it sooner; I love how it looks and I especially love to stack thin bands together. Right now I’m obsessed with this one and this one from Charles & Colvard! ◦ Consider moissanite! It really is the world’s most brilliant gem and it’s helping create new standards within the fine jewelry industry. Charles & Colvard’s Forever One colorless moissanite is absolutely gorgeous and I love that they are more affordable than diamond! Try stacking a moissanite band (loving this one) with your other metals. ◦ Think about how you store your jewelry. The moment I started using trays for my jewelry I noticed a huge difference; I was able to visibly see it as I was deciding on an outfit (drawing inspiration from it), I would find things quicker and the best part… nothing went missing! 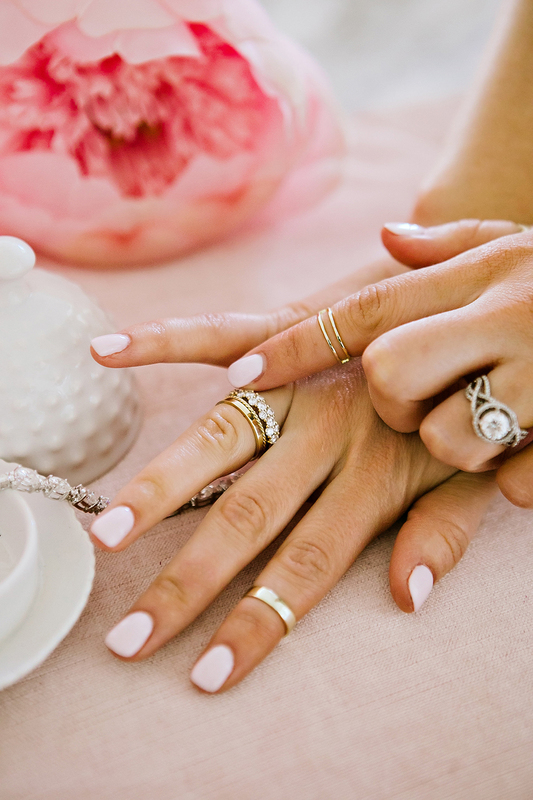 If you have a designated spot for your jewelry and you are consistent in putting it there every time you aren’t wearing it, it will last longer. Let me know if you have any questions about my jewelry or how I style it! I’d love to hear what your favorite pieces are and any jewelry tips you have. Share below! Brought to you by Charles & Colvard. Beautiful post & loved it! When I was younger I was a big fan of jewelry but then I went through a phase where I hated it and now I’m back to kind liking it again and I’m trying to build a nice and neutral collection, that I can wear with anything but it’s really hard to find good quality pieces at a price I can afford. That moissanite mineral looks amazing, that bracelet is gorgeous. I think we all go through phases like that. These moissanites really are amazing and more affordable than diamond!! Thank you so much, Cristy! I love how the jewelry collection is classic and timeless! Those to me are the most beautiful! You look gorgeous as always, Rach! So pretty! 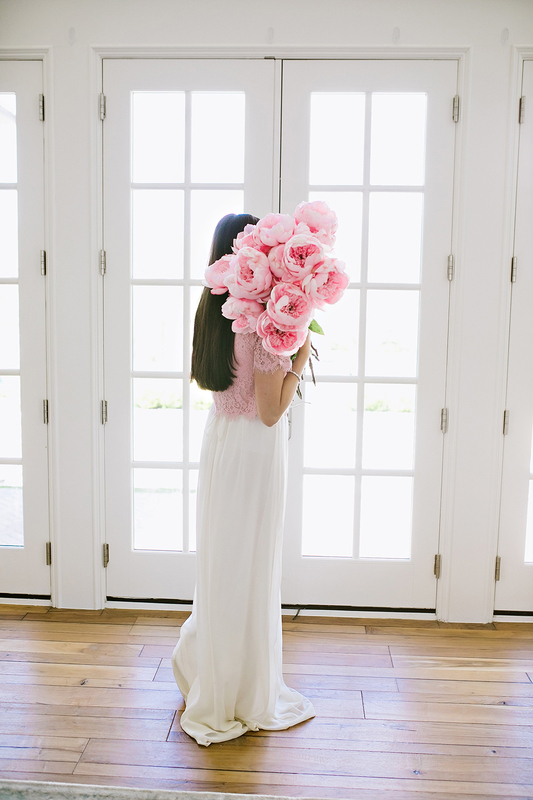 Those peonies are beautiful too and I love that nail color! Love love your outfit Rachel! Your skirt is darling and I love the pink + white color combo, so darling! Jewelry and sunglasses are my weakness! :) These are some stunning pieces!! I’m all about and have been for many years wearing midi rings. They’re so fun and dainty! Have a great day! 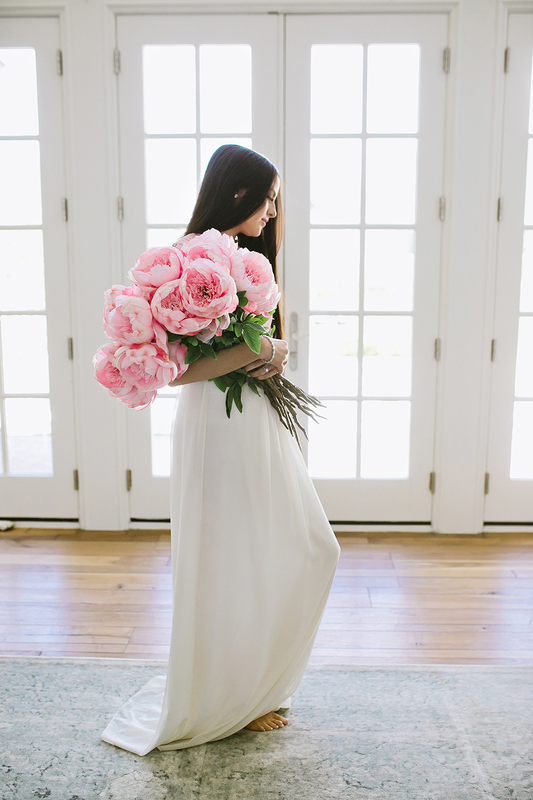 Wow, those peonies are enormous! So beautiful. Haha I know, I love them!! I saw your announcement on your instagram stories about your new memorial day line and rushed over to buy the megan shirt and the chambray shirt but they’re already out of stock :( will you be getting more in? What gorgeous pieces! I’ve never heard of moissanite before, it looks absolutely beautiful and your pieces are indeed percent for everyday wear. 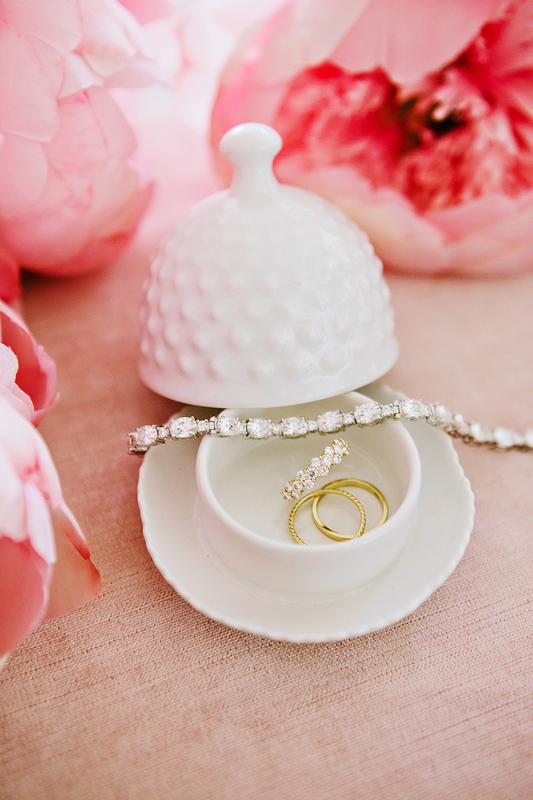 I also love the tips you’ve shared on wearing and storing jewelry, so helpful! Thanks for sharing, girlie, and I hope you’re having a great week so far! These pictures honestly don’t even do it justice! It’s even prettier in person, seriously. Thanks girl! Have a great weekend! 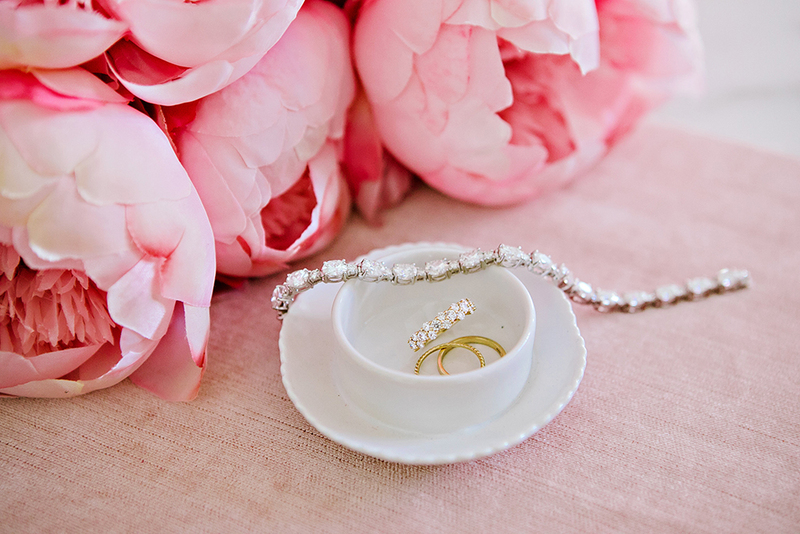 The jewelry is beautiful but I just can’t get over how gorgeous those peonies are!!! I know!!! I’m so in love! what a great article, I my self love fine jewelries when i visited Dubai this January I went crazy with buying golds! I believe they are a forever investments and can hand down to your kids one day. I store my jewelries very well because they are not cheap and every once in a while I make sure to clean it with a satin cloth other than that it looks beautiful and shiny. I bet your jewelry is amazing! I plan to pass down a lot of my jewelry to my daughter too :) It means so much to me! Thanks for commenting! Beautiful jewelry! I love adding delicate elements like this. Thanks Maru! I do too! This is absolutely beautiful!! 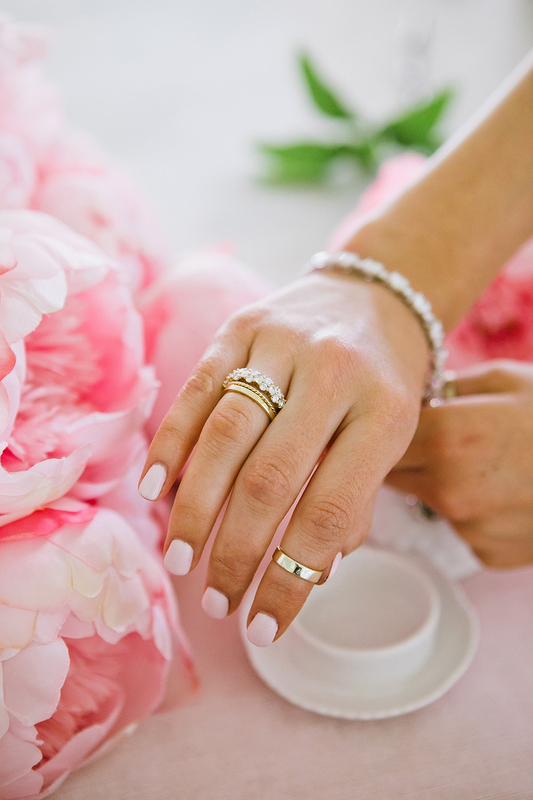 I love the peonies, your jewels, and your outfit! Gorgeous! I love the sparkly ring! It’s so gorgeous! These blooms are INCREDIBLE! I love when you mix flowers into your posts!